When I asked her if I can take her photos for this project, she enthusiastically agreed. Girl likes photos - can’t say I blame her. She’s just too cute. She even wanted to help me load the film in my camera. She’s REALLY into being fierce, like Ray from Star Wars, so she flexes her muscles a lot. She’s been working on her boxing - got pink boxing gloves like momma for Christmas. Basically she’s a badass and knows it. …and then I got this one. Because she’s three and a total goofball. Always making me laugh. Here are some of my favorites from the rest of our shoot. So glad I’m doing this project. 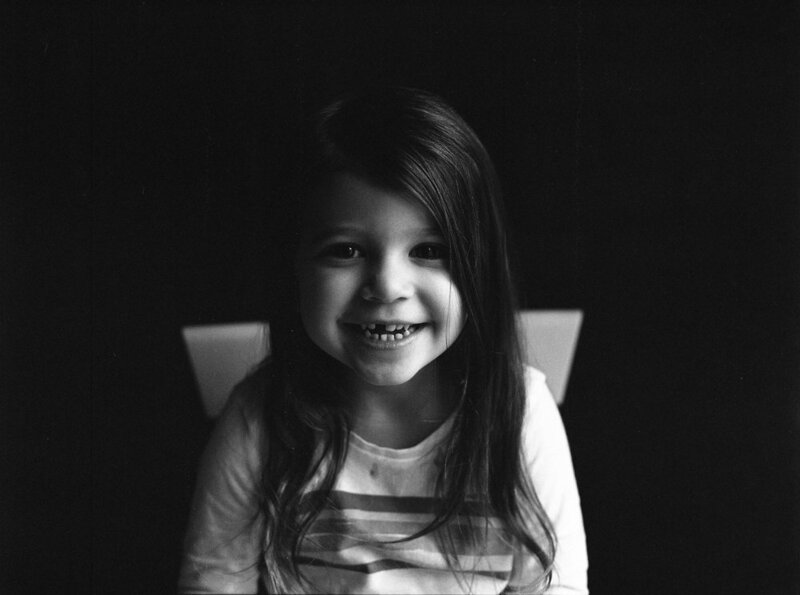 There are a few photographers doing this project together, so make sure you check my amazing and talented friend Amy in Minneapolis on her blog for another One Roll, One Kid project participant.